Join M.I.C. 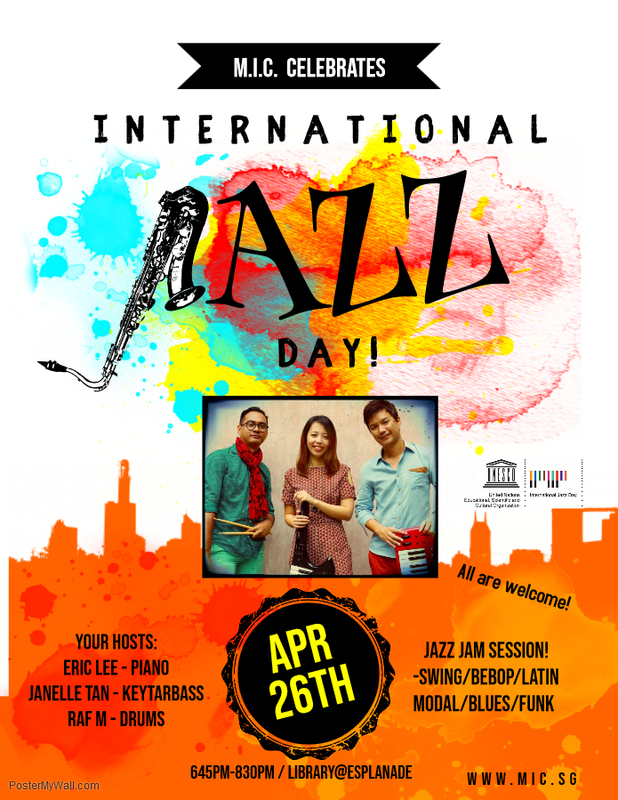 as we celebrate International Jazz day 2019 with a Jazz Jam Session! Open to all. Admission is free! 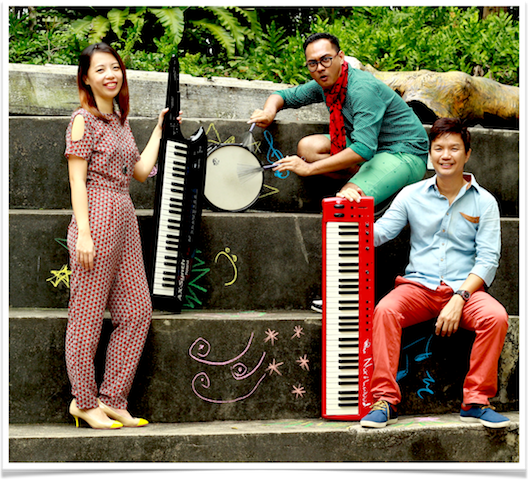 April 26th, library@esplanade, 645pm-830pm. April 26th 2019 -M.I.C. Celebrates International Jazz Day!